in achieving their very highest educational and personal potential. In this week's PPS Pulse: Beaumont Middle School's Jazz Ambassadors shine at festival; an up-close lesson about Dr. Martin Luther King Jr.
Beaumont Middle School jazz program continued its strong year with a first-place finish in the 57th Annual Clark College Jazz Festival in Vancouver, Wash., last month. James John students get up-close lesson on life of Dr. Martin Luther King Jr. The Portland Playhouse brought its one-man show, “Dr. Martin Luther King Jr.: Civil Rights Leader,” to James John Elementary School. 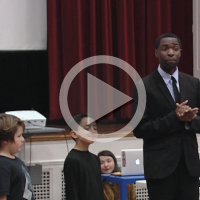 The first- and second-graders followed Dr. King's journey from childhood to his iconic “I Have a Dream" speech and along the way learned about the injustices and inequity that Dr. King confronted and strived to overcome throughout his life. Your high school student has put in years of work, and one of the main rewards is in sight: graduation! 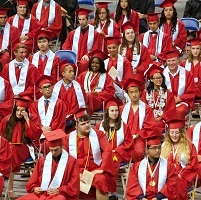 Dates for graduation ceremonies for the Class of 2019 have been finalized for Portland Public Schools’ nine comprehensive high schools. In just a few months, in June, Madison High School will close and undergo construction for two years in order to fully modernize the campus. 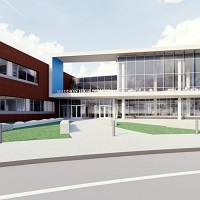 Students and staff will move to the Marshall High School campus for the 2019-20 and 2020-21 school years. 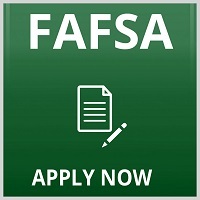 Attention parents of seniors: It’s not too late to apply for financial aid for college for the upcoming 2019-2020 academic year by completing the Free Application for Federal Student Aid, commonly known as FAFSA. Awards from FAFSA are solely based upon income, and eligible students can receive grants, loans and/or work study awards. PPS Pulse is a weekly publication that is distributed via email to district families, staff and select others. It is produced by the PPS Communications department. An archive of previous issues is available. To submit story ideas and feedback, please contact: Coordinator: Lindsay Trapp. Editor/writer: Mike Tokito. Designer: Louise Tollisen. Videos: Multimedia Services. Translations: Translation and Interpretation Services.